Your Whole Business – Organized into a Single Web Application. Projects, Sales, Marketing, Contacts, Accounts, Orders, and More! Access the information you need anytime, anywhere. 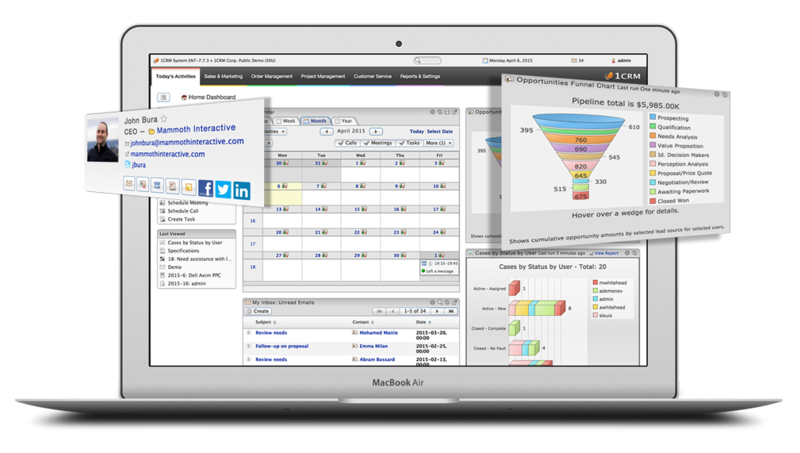 Automate your Sales & Marketing processes – Close more deals in less time!